Combine mayonnaise, mustard and dill in medium bowl. Stir in cabbage, mixing lightly to combine. Cut each slice of cheese into 4 smaller squares. Place bread slices on 2 rimmed baking sheets. 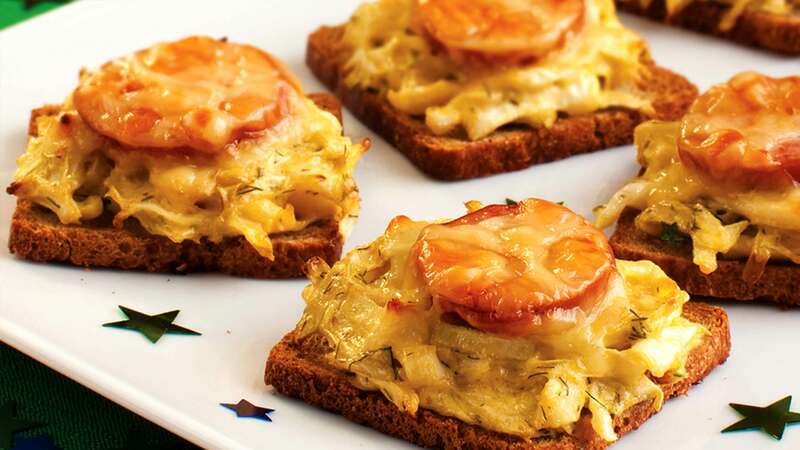 Top each slice with about 2 tablespoons cabbage mixture, 1 slice of sausage and a small square of cheese. Bake 18 to 20 minutes or until heated through and cheese is lightly browned.